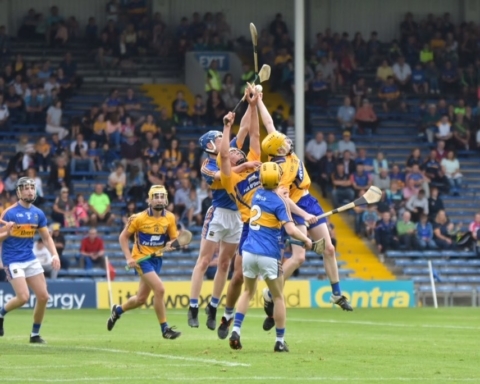 Six Clare handballers were crowned All-Ireland champions in Cavan this weekend. 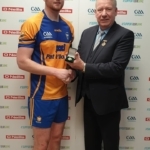 Fergal Coughlan Jr was the first to collect an All-Ireland medal on Saturday, he defeated Jordan O’Neill of Antrim 21-18 15-21 21-15 in the Junior decider. 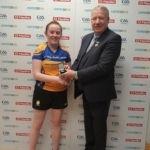 Broadford’s Caitríona Millane won the ladies equivalent 21-16 21-16 against Galway’s Eimear Ní Bhiadha. 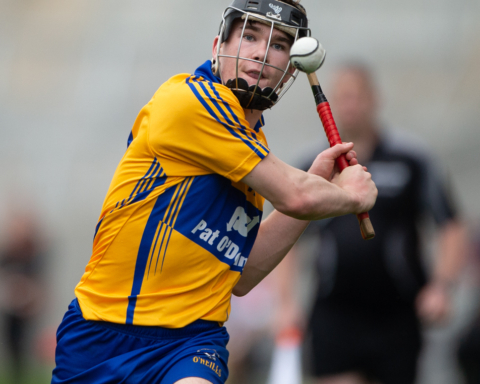 Tulla’s Colin Corbett became the All-Ireland intermediate singles winner for the first time in his career overcoming Ian McLoughlin from Mayo 21-20 21-3. Jennifer Nicholas and Aoife Dooley combined in the U15 Doubles competing against Galway’s Amanda Ní Bhradaigh and Meabh Ní Chúlain 15-2 15-5. 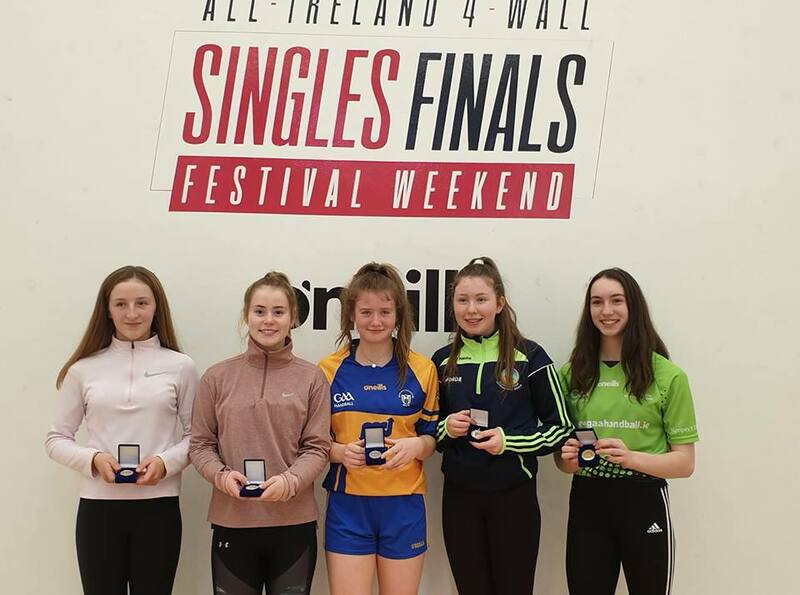 Chloe Phillpott of Kilkishen paired up with Tuamgraney’s Leah Minouge in the U16 Doubles final and they too tasted All-Ireland glory beating Eadaoin Níc Dhonnacha and Skylyn Ní Mhaille from Galway 21-18 21-5. There was defeat for Eimear Murphy in the U15 singles on the smallest of margins. 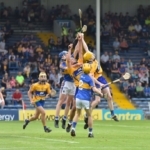 Her game with Roscommon’s Carragh Kennedy went to a tiebreaker but she came out on the wrong side of the 15-7 12-15 15-13 scoreline. 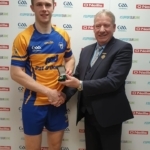 Although victorious in the second game, Rodgers lost out to Eoghan McGinnity who became the first Monaghan handballer to win the Minor title, 21-10 14-21 21-13.